Analysis of the daily close of the FTSE 100 Index and the day’s high and low. 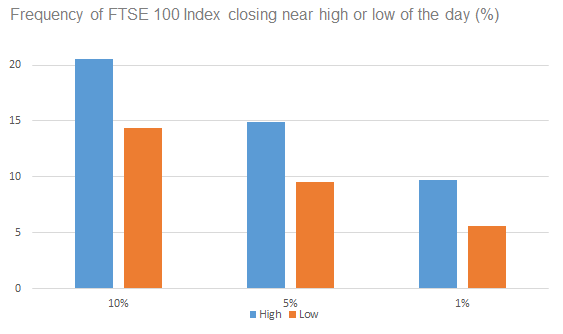 The following table shows the frequency with which the FTSE 100 closes within a certain percentage of the high (or low) of the day. 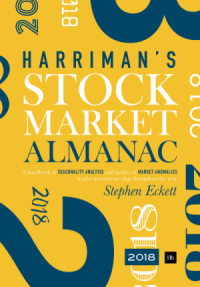 For example, since 1985 the FTSE 100 Index has closed within 10% of its daily high 20.8% of all days, and it has closed within 1% of its low 5.6% of all days. It’s interesting to note that for one in 10 days the index closes within 1% of its high for the day. 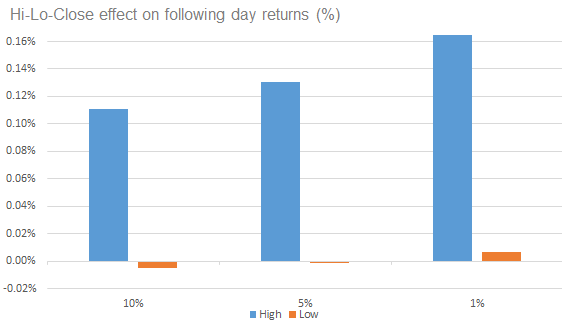 Continuing this analysis of where the index closes relative to the Hi-Lo range of the day, the following table shows the performance of the FTSE 100 Index on the following day. 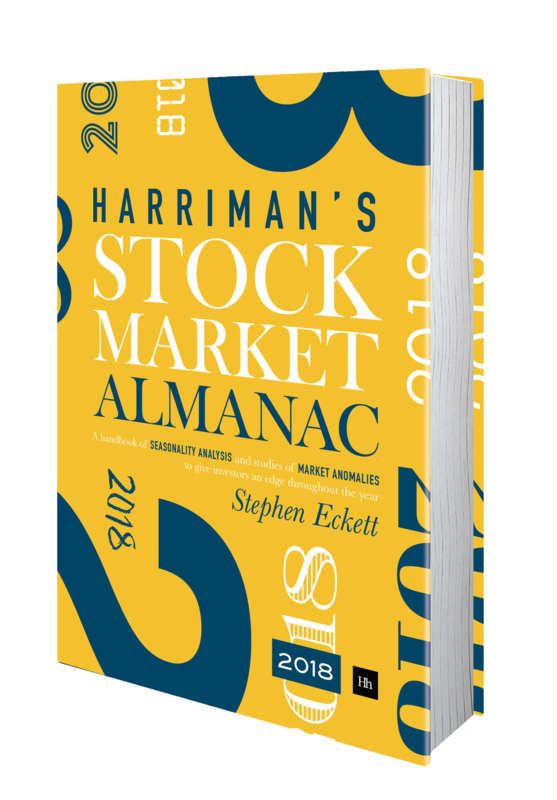 For example, on the days when the index closes within 10% of its low for the day on average the index return is -0.005% the following day; and when the index closes within 1% of its high for the day on average the index return is 0.167% the following day.